Paying off credit card debt is a personal finance goal that many Americans hope to achieve, yet some consumers, especially those who fall on hard times, fall behind in their credit card payments. Credit card companies assign delinquent accounts over to collectors, whose job it is to collect your money and control the company's loss. Whether a credit card company can put a lien on your property if you don't pay your bill depends on the terms of your credit agreement and the type of property you have. Generally speaking, a credit card company has to sue you and win a judgment against you in court before it can put a lien on your property. One exception to this general rule is when your property is collateral for your credit card debt. Say you use your credit card to purchase new, professional-grade appliances for your kitchen, but you never make a payment on your account. The credit card company may have a contractual right to repossess your appliances without going to court first if the appliances are considered collateral for the credit. 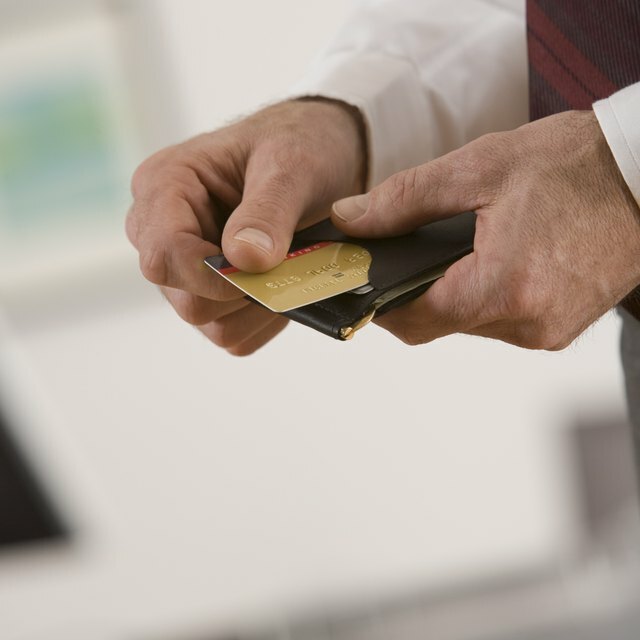 Refer to your credit card agreement to see if it gives the company a lien on your personal property as collateral. The form of agreement that a credit card company uses for consumers is different than the form of agreement it uses for small-business owners. Because the risk factors associated with business debt are different than those associated with consumer debt, a credit card company may require small-business owners to personally guarantee their business debt. A personal guarantee may include pledging real property, such as the owner's personal home or business premises, as security for the debt. In that instance, the credit card company can put a lien on the property that the borrower pledges as security for credit. Your credit card company considers you to be in default if you don't make the minimum required payment on the day it's due. Once your account is in default, the company can charge late fees and collection fees; the credit card company can raise your interest rate and increase your annual fee for the card. In some cases, the company can demand that you immediately pay the entire amount you owe -- a demand few consumers can comply with. If you can't catch up your late payments or work out an alternate repayment plan, the credit card company will eventually sue you and obtain a legal judgment against you in court. Can a Credit Card Company Take Money Out of My Bank Account for Past-Due Amounts? "Execution" is as serious as it sounds. It's the process where the credit card company can take direct action to collect, or "execute," on its judgment, and it can make you pay for execution costs. For example, as a judgment creditor, the credit card company can garnish your wages for the amount of the judgment and take the costs of the garnishment right out of your paycheck. The credit card company can also put a lien on your personal property, such as car or motorcycle, and on your house, vacation home and any other real property that you own and add the cost of recording the lien and other collection costs to the amount you owe for the judgment. These costs can significantly increase the amount you ultimately pay for your credit card debt.